MDC secretary-general Douglas Mwonzora struck a secret pact with party leader Nelson Chamisa, which led to him withdrawing from the presidential race ahead of next month's elective congress. The deal was confirmed by the two protagonists before voting took place in Manicaland on Sunday. In a video released on social media yesterday, the two MDC leaders jointly addressed the Manicaland provincial council to confirm the development. "We discussed with Mwonzora and said to each other, the food in the plate belongs to both of us, we must not fight. (The late Morgan) Tsvangirai left me wearing (presidential post) his jacket, so let me keep wearing it for now. We agreed because we both want to do things that build the party so we agreed that each of us keep our posts. I said leave me as the captain while you pass the ball to me," Chamisa said. "Thank you president Nelson Chamisa, I have come to speak for myself in the Manyika dialect which you all understand, I want to say this as Douglas Mwonzora who comes from Manicaland. We agreed with the president (Chamisa) that this coming congress our president will be Chamisa, we agreed again that I will try to retain my position as secretary-general of the party," he said. "We have no deal with the president. If what I said conveyed the impression of a deal, then that is not the case. There are other contestants for positions within the party, so we cannot have a deal where we share positions. "I simply told the president that under the present conditions, I will not run and that is what I told the president. For the position of secretary-general, there are three contestants," he said. 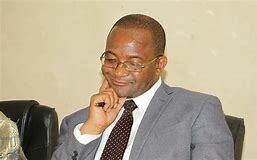 Highly-placed sources said the deal was reached after it became increasingly clear that Mwonzora would not garner sufficient nominations for the post of president after most of his supporters lost in district elections at the time Chamisa wanted to keep party loyalists. Chamisa has been accused of being more accommodating to newcomers at the expense of the old guard which stabilised the party in its turbulent moments.